So what do you do when you have a box of Red Velvet Brownie mix? You make brownies, then crumble them up and throw them in your Rice Krispies Treats, right? 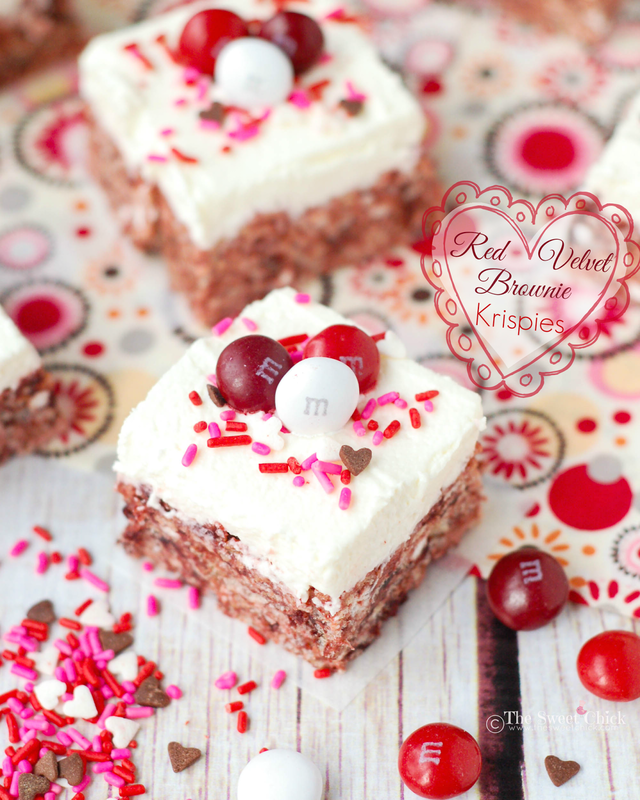 Perhaps that's just my crazy thinking, but these Red Velvet Brownie Krispies bring Rice Krispie Treats up another notch in my book. 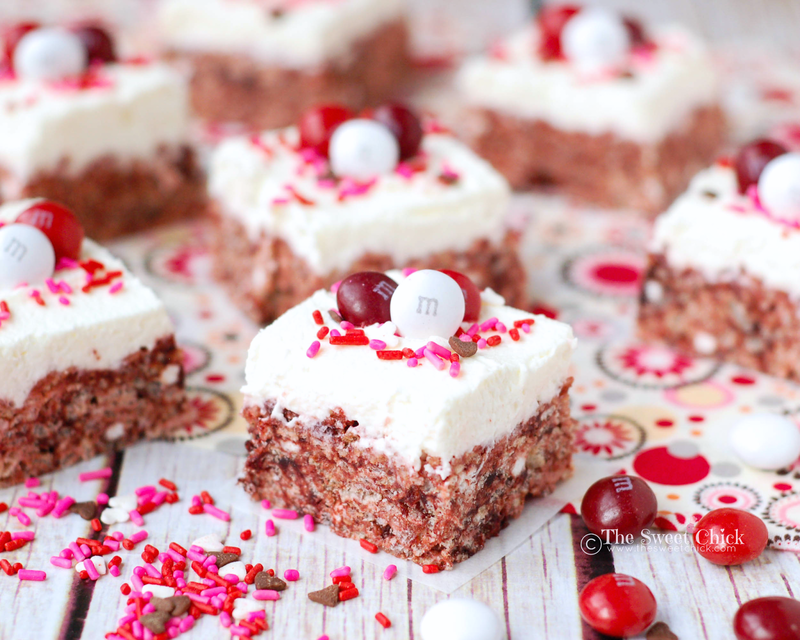 These treats are filled with chunks of red velvet brownies and topped with my favorite mascarpone frosting and some Red Velvet M&M's. They are perfect for those upcoming Valentine's parties at school, or just to make for your sweetheart. You will need 2 cups of broken up brownies for these treats. That leaves plenty to munch on while you put things together. Although I normally bake my brownies more cake-like, this time I just made them the regular way. Then I cut some pieces and broke them apart by hand. Kinda messy, but you get to lick your fingers after. 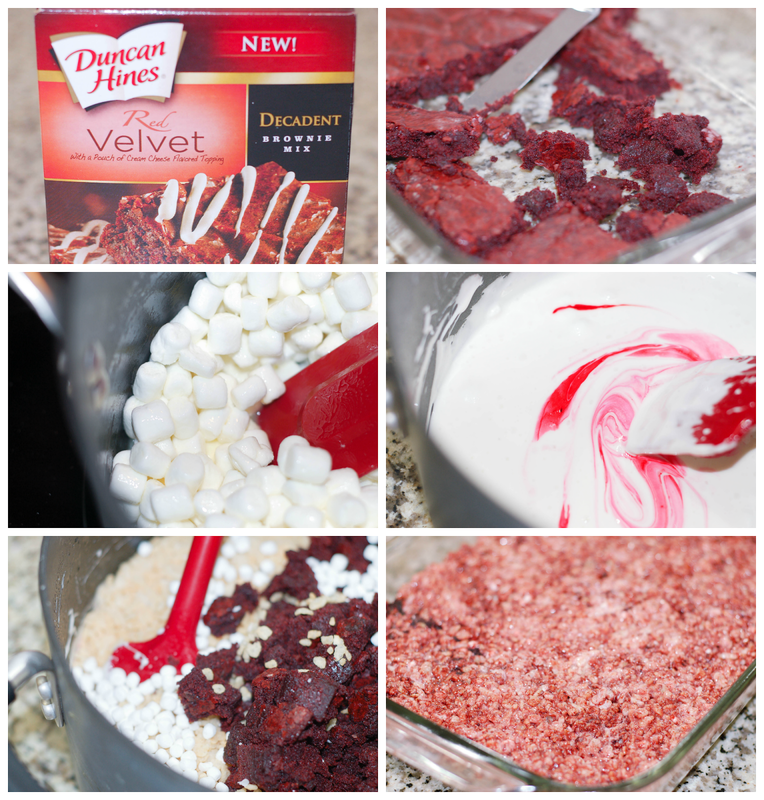 I added a few drops of red food coloring to the melted marshmallows to ensure a nice even color for the treats. I know people usually top red velvet with a cream cheese frosting or glaze, but I really like a freshly whipped mascarpone frosting. It's light, and not too sweet. I also found some Red Velvet M&M's at Walmart to finish off the top. They do taste like red velvet, but if you eat too many, they start to leave a chemical taste in your mouth. So three per treat, is a good number. The treats themselves have a mild red velvet flavor, which I like. They are not overdone. I like randomly biting into a piece of brownie. The fluffy frosting goes well with the crunchy cereal and the M&M's do enhance the overall red velvet experience. I brought them to the bus stop yesterday for the kids and moms to try. Everyone gave them a thumbs up, including my kids. Now I have another successful Rice Krispie Treat flavor to add to my arsenal. Because as you know, you can never have too many. In a large sauce pan, melt butter and marshmallows over low heat. Stir until completely melted. Remove from heat and add the food coloring. Stir until well blended. 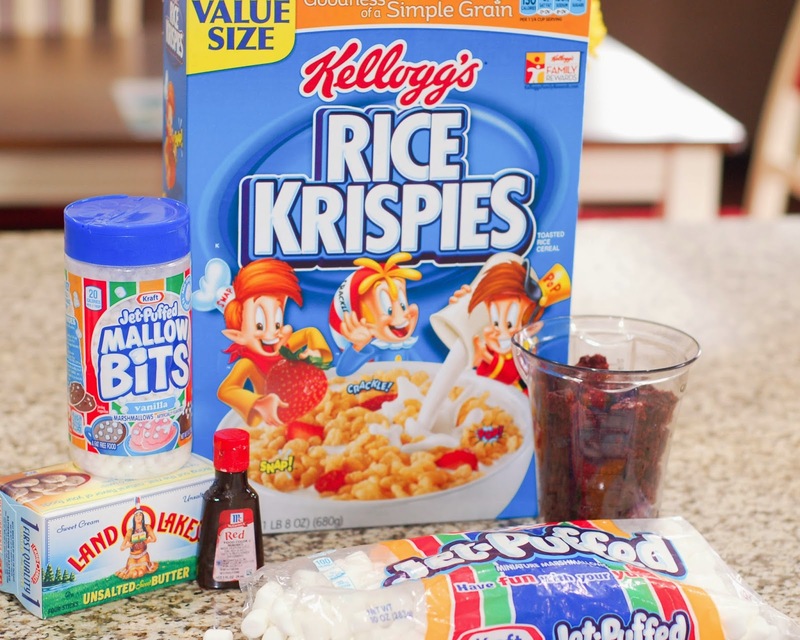 Then add the crumbled brownie pieces, Mallow Bits, and Rice Krispies. Stir until completely incorporated. Pour the mixture into a greased 9 x 13 pan or a cookie sheet and spread it evenly with a piece of greased waxed paper. Allow to cool at room temperature or place in fridge to cool quickly. With a stand mixer on medium to medium/high speed, whisk heavy cream until stiff peaks form (be careful not to overbeat, or cream will be grainy). 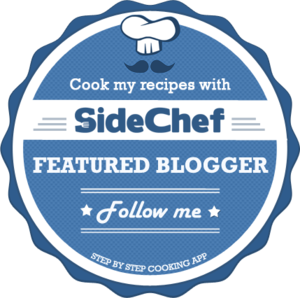 In another bowl, blend together mascarpone and confectioners' sugar until smooth. 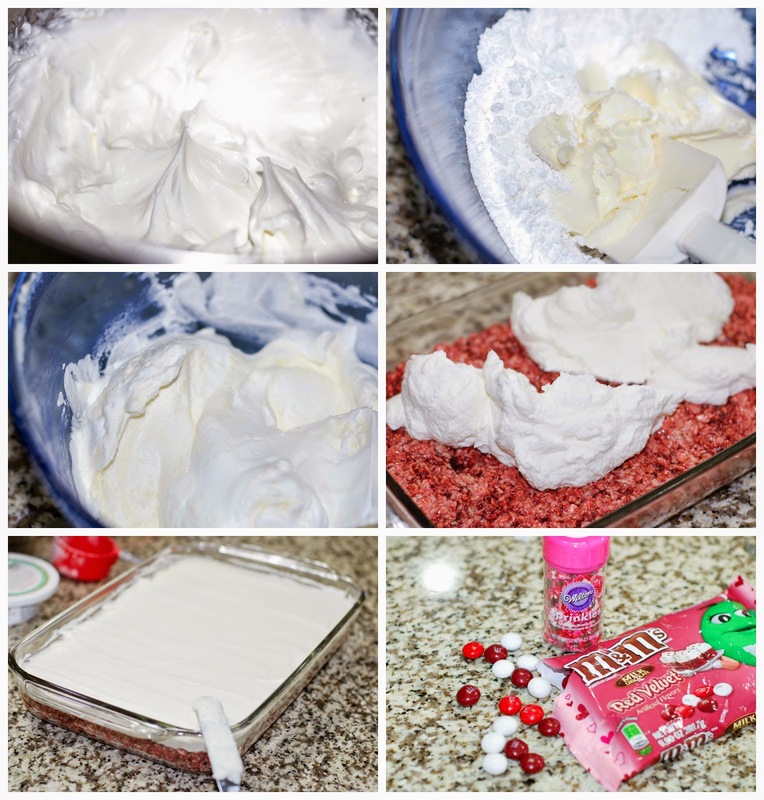 Gently fold the whipped cream into the mascarpone mixture until completely incorporated. Spread the frosting evenly over the cooled treats with a spatula. Add sprinkles and place treats in fridge to cool (about 10-15 minutes). Cut treats into squares with a sharp knife, wiping down knife after every cut. Keep treats refrigerated in an airtight container. If you are adding M&Ms, add them just before serving, as the candies tend to discolor in the fridge. For better success with whipping the cream, place mixer bowl and whisk in the freezer for about 15 minutes before using.